Ultrasonic Lace Machine, also could be called ultrasonic lace sewing machine, ultrasonic sewing machine, is an efficient sewing embossing device, use to sewing, welding, cutting and embossing synthetic fiber material, processed product can be water tightness section, high efficiency, without needle and thread, without rough selvedge and smooth, hand touch feel good, etc. Widely use to process clothing, toys, food and non-woven materials. Ultrasonic lace machine main models include: ultrasonic lace machine (A type), Ultrasonic Gantry Frame Lace Sewing Machine, non-standard ultrasonic lace sewing machine, and other equipment, satisfy various industries’ requirement. ” Your professional auto non-woven sewing cutting machinery designer.” is our declaration. 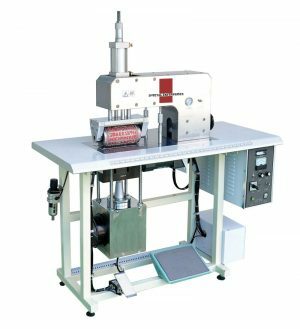 Ultrasonic lace machine, ultrasonic sewing machine, ultrasonic embossing machine, ultrasonic embroidery machine, ultrasonic trimming machine, ultrasonic compound machine, ultrasonic stitching machine, ultrasonic heat sealing machine. The floral whorl of ultrasonic lace sewing machine made of special alloy steel is pretty durable by special heat treatment, and long using life. 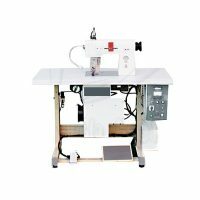 This lace sewing machine could be operated without pre-heating and has the advantage of continuous production, fast speed, high productivity and can do corner sewing. No smog and spark while processing, no damage to mercery edge. 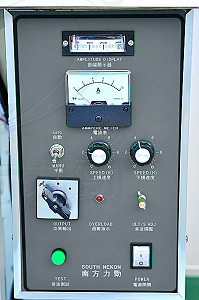 A general worker could operate the machine owes to the convenient and easy-understanding operation of this machine. 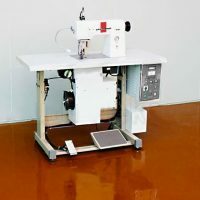 Ultrasonic lace machine directly sewing all kinds of drapery, meanwhile trimming, hole, stamped, once forming the products, without rough selvedge and raw edge. 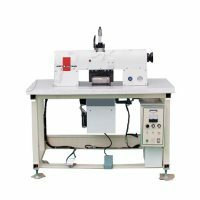 This machine use ultrasonic for cover sewing, pressing and embossing in different materials, the output power can be adjusted according to different thickness material. 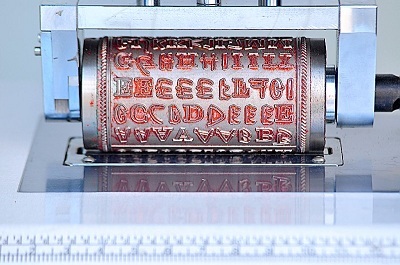 This machine can print and gold blocking by retrofitting coloured paper. The floral whorl of ultrasonic lace sewing machine made of special alloy steel is pretty durable by special heat treatment, and long using life, floral whorl diameter 100mm, can press out of larger acreage, more beautiful patterns. 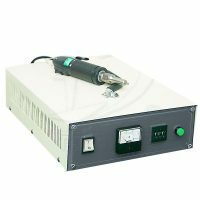 Intuition electronic box, more humanization, convenience to read current and amplitude display, you can adjust output power and mould rotate speed by set electronic box, suit for different materials, respectively adjust the speed of upper and lower dies. (1)Sewing (2) Pattern edging (3) Cutting (4) Slitting (5) Holing (6) Pattern pressing (7) Forming (8) Coloring (9) Gilding (10) Edge fold and Printing grain, (11) Package welding wire fixed. Lacing: clothes, mattress cover, pillow cover, car cover, tent, packaging bag, packsack, luggage, hand bag, curtain, rain coat, wind coat, snow suit, toys, glove, tablecloth, chair cover, bedding bag, hair accessory, accessories, umbrella, lampshade and so on. Embossing: ornament, hair accessory, artwork ornaments, Christmas ornaments, wedding ornaments etc. Sewing: Non-woven bag, disposable operating coat, surgical cap, eyeshade, raincoat, PVE handbag, umbrella, packaging bag, tent, shoe and cap products, dust bag and so on. Slitting：Velcro, satin, cloth (contains 30% chemical fabric), trademark and so on. Copyright © 2015 - Ultrasonic Welding Machine (Sheetal Enterprises) | Designed By : United9 Web.